Aromatherapy For Dog Allergies: Yes Please! For most people, spring is a time for breaking free from the cold winter weather and cabin fever of being inside too long without a daily dose of fresh air and sunshine. But for many people and pets, spring and summer also bring seasonal allergies. Seasonal allergies are often instigated from a “sniff and scratch” response. Just a simple walk outside, a hike in the woods or a stint in your garden can lead to an instant bombardment by pollens and airborne particles. You may find yourself scratching or rubbing your face, nose, scalp and arms and legs (if exposed), or you may start to cough and sneeze or your eyes begin to itch. The same holds true for our animal friends, and if outside for longer periods of time, their exposure to pollens and other allergens is extended, and pollens cling to their skin and fur. We’ve all seen a cat, dog or even a horse roll in the grass. They can’t wait to take that first post-winter roll in the grass to scratch their body and then shake off any excess tension. When watching this natural activity of rolling back and forth, back and forth, you can see the sheer pleasure it brings them. Yet, if your animal friend also suffers from seasonal allergies, the simple joy of rolling and walking in the grass can agitate their body systems, followed by an allergic response. Like clockwork each year; springtime also brings out all the biting bugs. With these creatures about, we have to be aware of bee and wasp stings, fly and spider bites, and of course any type of allergy that may occur from stings and bites. Biting midges (very annoying little gnats) can be a nightmare. 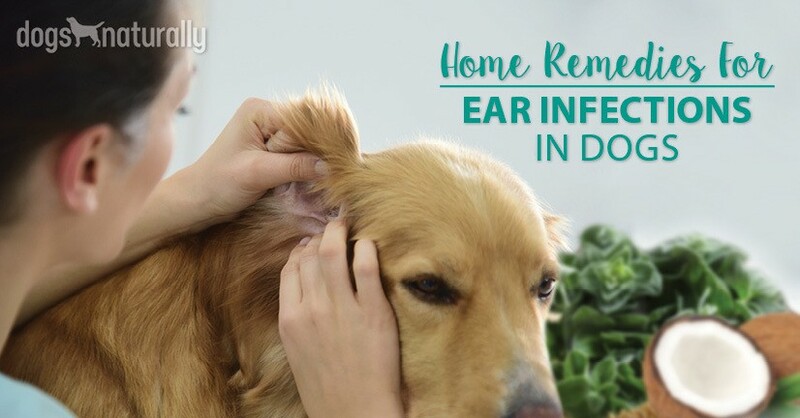 The dog will get an allergic response to the actual midge bite and from there, it’s a domino effect of itching, scratching and even obsessive biting of the itchy area, followed by hair loss and damaged skin tissue that resembles elephant skin. Hot spots can also bring similar results. There are many different options available to help those who suffer from seasonal allergies and who are in need of some immune system support. For fast relief of acute allergic reactions, I like to create an allergy relief care kit. My kit is an insulated lunch carrier, but you could use a toolbox or plastic container. My container is labeled as are the contents. It also includes a list of emergency numbers and information: veterinarian, animal poison control and my contact phone numbers. You might also consider keeping a few hydrosols on hand in the fridge: (lavender, witch hazel and helichrysum), as well as ice packs and ice cubes. Hydrosols are a gentle way to incorporate aromatherapy for use with your animal friends. Hydrosols have similar properties to essential oils but are much less concentrated. They offer an alternative to the more potent aromas of essential oils; for those who suffer with seasonal allergies and who may become hypersensitive to smells in general, especially during an allergy attack, hydrosols are a very useful aromatic tool to keep on hand. You can also make hydrosol ice cubes to apply to the skin to help decrease inflammation, or soothe a bug bite or rash welts. The recipe blends below are for use with dogs and horses. Blends are for topical use only. If irritation occurs, discontinue their use. Do not get in or near eyes, ears or nose. Make sure that your animal always has access to fresh clean water for internal consumption; you can also use water topically to help cleanse the outer body and give some relief from allergens. Dogs who suffer from allergies often feel such relief after a bath. Allergens and pollens are washed away, leaving their skin and coat clean and less greasy from all the scratching. They’ll be thanking you for bath time! Bathing is a must once a week during seasonal allergy time. Some animals may require additional bathing during high pollen count times. Depending on your dog’s situation, try one of the soothing bath recipes below. This is great for dogs who suffer from red, itchy, irritated paws due to grass pollens). Set up a mini plastic tub and jug of clean water near the door where your pets come in and out from the outdoors. Immerse your dog’s paws in the water to wash off any dirt, pollens and particles that can work their way up in between the paw pads and toes. Dry with a clean cotton cloth. In between bath times, use a wet cotton cloth to wipe off pollens from your animal friend’s coat, skin, paws and facial areas. I keep a set of cotton washcloths for each animal and wash those separately in a natural non-scented laundry detergent and dry in the dryer (avoid air drying the cloths outside due to pollens, or use an indoor wash rack to air dry). Having one face washcloth per dog is a wonderful way to remove pollens from their facial and itchy skin areas. A healthy diet is one of the best places to start in order to maintain and strengthen the immune system. A diet of natural and whole foods can go a long way in preventing some seasonal allergy responses. Adding some fresh veggies and fruits, such as apples which contain Quercetin (a bioflavonoid also known as the “anti allergy supplement” which offers natural antihistamine properties) can also be useful for allergy symptoms. Dilute hydrosols with distilled water and mix with a non-scented liquid soap (such as Dr. Bronner’s baby soap brand). Stir gently to mix all the liquids together. Saturate the animal’s coat and skin with warm water, apply the above mixture to the animal’s coat and skin with gentle massage, and rinse with warm water. Follow with an apple cider vinegar/water rinse (see next recipe) if the skin is greasy. After bathing, apply a warm water/apple cider vinegar rinse to your animal friend’s coat/skin. Rinse well or allow the apple cider vinegar mix to air dry for the added benefit of bug relief. Apply to clean skin and coat, massage, rinse, pat dry. This blend mixture can also be pre-made and kept in a glass jar in the refrigerator (for approximately one or two weeks – discard if moldy), and used for spot treatments for bug bites and stings. Witch Hazel (soothes, cools and cleanses). Mix 1 drop of helichrysum and 1 drop of lavender essential oils with one teaspoon of aloe vera gel and 1/2 teaspoon of green clay. Mix with enough witch hazel to create a topical paste to apply to bee and wasp sting welts. If you don’t have any natural clay on hand, opt for calamine lotion (pink calamine works better for bug bites). Ichthammol salve or ointment This is useful to draw out toxins, stingers, splinters and foreign materials from the skin, paw or hoof area. And don’t forget about a simple ice pack to help with swelling and inflammation.